It's Christmas break! The kids are all excited and restless at the same time. We don't have any travel plans during the holidays, but sometimes, we end up booking an overnight stay at a hotel within the metro or go to amusement parks. It's been a wild year for us, with major adjustments at home and with the kids' school life. But the fun side has been memorable, peppered with new experiences especially for the kids. For today's post, I'm sharing a few family-friendly places we were able to visit this year, and to give you ideas on where to bring the family this holiday break. Our first trip last June was a hit with the kids and kids at heart, and by far their top choice for a recreational trip out of town. We were not able to go back since school opened. 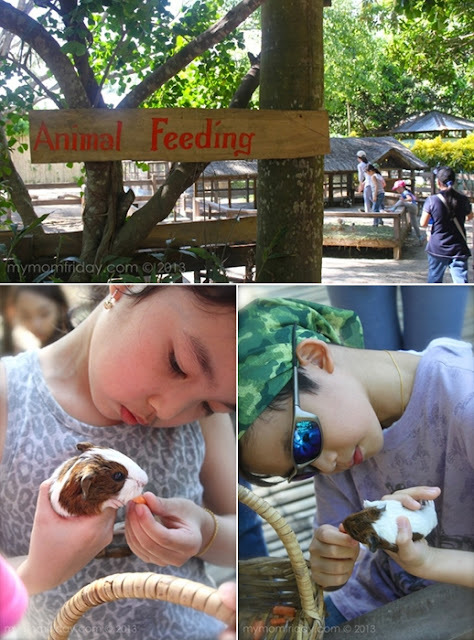 Luckily, my girl and I were invited to Fun Farm last Wednesday to celebrate her classmate's birthday. Her excitement was just like the first time. As expected, everyone had so much fun - a perfect way to take a break from city life, away from gadgets, breathe in fresh air, and commune with nature. 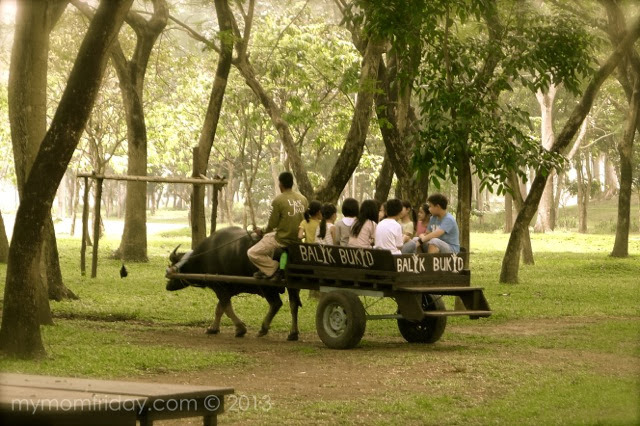 Try the mini-zip line, horseback riding, row a boat, and animal-feeding - there's so much to do and enjoy at the farm. Super value for money with entrance fee of Php300/head, bring your own food and drinks, and travel is just an hour's drive from Manila. 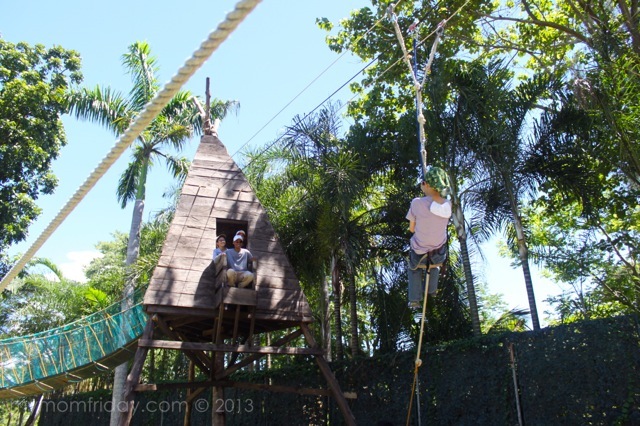 A trip to Fun Farm is our top choice for an outdoor excursion with family and friends. Just text or call to inform them of your visit. 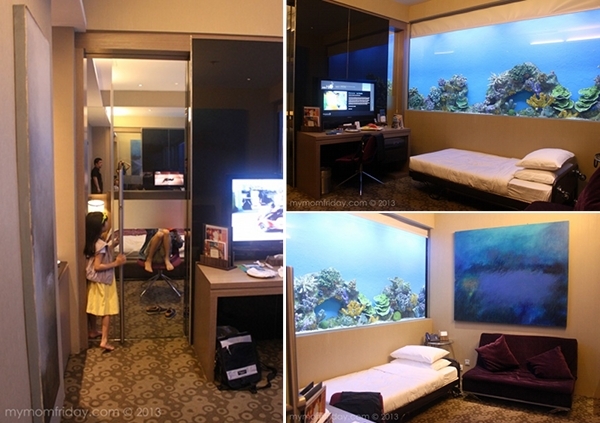 A first in the country, this marine-themed hotel features well-appointed family rooms and suites that has a built-in aquarium wall or floor-to-ceiling view of Manila Bay! 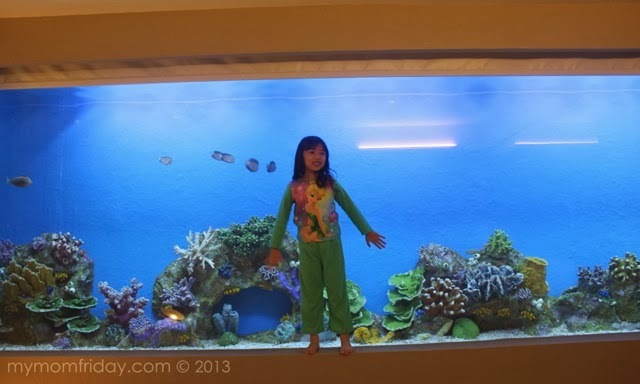 The kids went crazy after seeing this huge aquarium wall with tropical fishes in our suite. They've been clamoring for another stay-cation there since then. Suffice to say, our stay was very unique and memorable. What's nice about Hotel H2O is their special packages include passes to Manila Ocean Park attractions, and other complimentary hotel services. You can spend two adventure-filled days here to complete your family's aquatic experience. 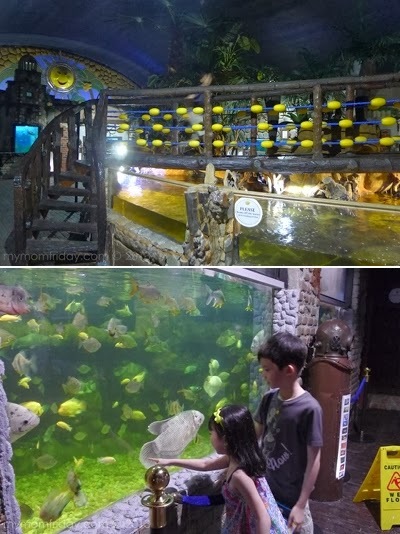 We've been to Manila Ocean Park several times, but the kids still get amazed at the various attractions every visit coz we always discover something new. 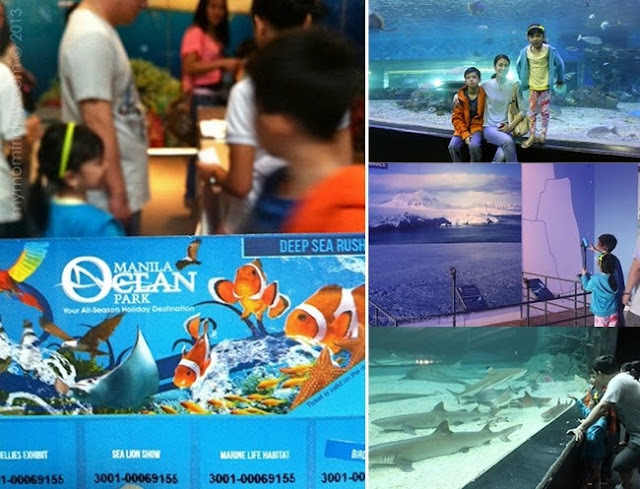 Part of the package during our stay at Hotel H2O were passes for four to Manila Ocean Park. One of our favorite attractions at the park is the Jellies Exhibit, which I already featured here. 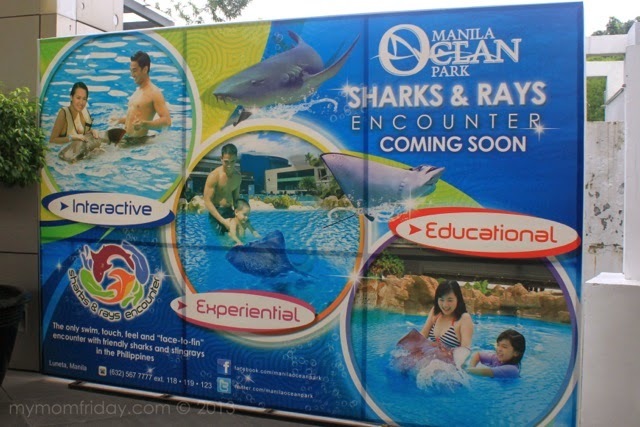 During our last trip, which was almost four months ago, they were about to launch their the Sharks and Rays Encounter. It's now operational so you can try this out. This will be next on the list, if we dare try it! =) Rates differ per package. They also have the Aquanaut, Birds of Prey Kingdom, and Trails of Antarctica which we have not explored yet. 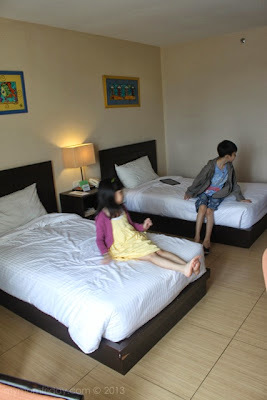 Last summer, we got a good deal from Deal Grocer for two rooms at Hotel Kimberly. There were only a few other families billeted there so it felt like we had the hotel and pool all to ourselves. 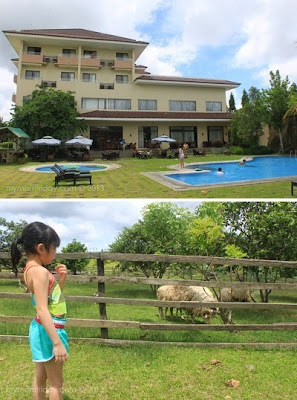 =) The hotel is modestly sized, nothing fancy, and offers basic amenities, plus an outdoor pool and playground, a sprawling garden, a game room, fitness center, and even has a few farm animals! 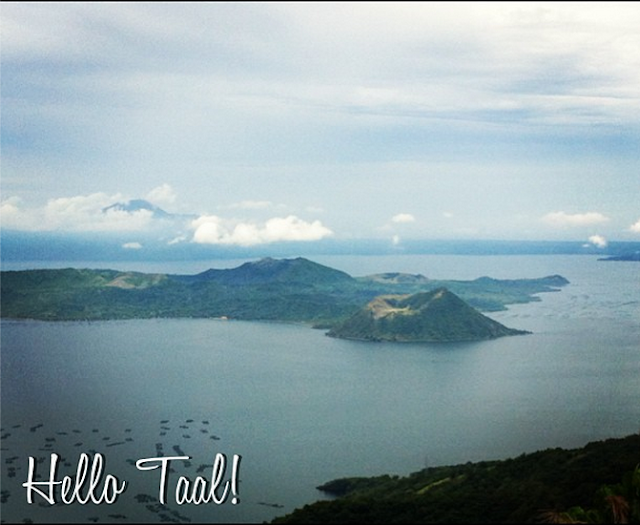 It was a pleasant and very relaxing trip for us since we did not plan any other activity during our short stay in Tagaytay. 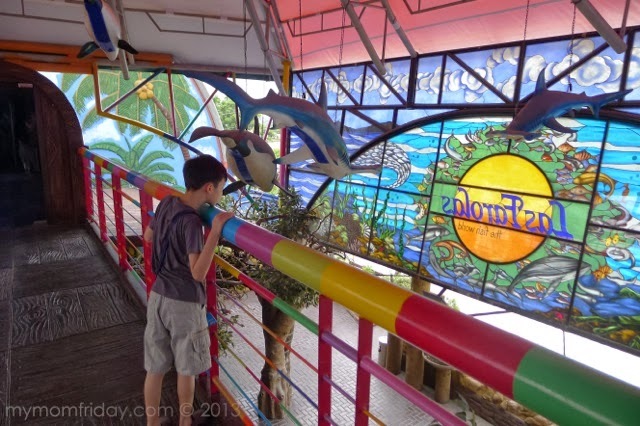 One month after Las Farolas Fish World opened last summer, the kids and I went to check out this colorful two-level indoor fish park in Pasig. It houses several species of freshwater exotic fishes, including piranhas, with interiors featuring Philippine regional themes and cultural artifacts on display. Being called "fish world", and with a fee of PhP300/student (P400/adult), we expected more from the exhibits. Unfortunately, the attractions did not impress us that much since the facility was not 100% complete during our visit. There were several tour guides on hand so they were very helpful with the information about the various marine life. The kids just enjoyed running up and down the bridge over the aquariums! =) Las Farolas is open everyday, from 9am to 7pm. We have yet to plan a road trip for the kids, who are both bugging us to book a stay at a hotel. I'll see what we can do. How about you, any favorite local destinations during the holiday break? Christmas is just a few days away... hope you're all done with your shopping and sharing. Happy holidays everyone!